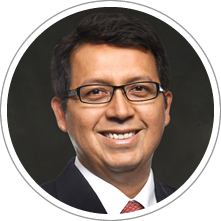 Professor Leyder Bocanegra holds a Master’s Degree in Business Administration from Universidad Peruana de Ciencias Aplicadas, Peru, and an undergraduate degree in Management from Universidad Nacional Mayor de San Marcos. Professor Bocanegra has been the Head of Planning at Edpymes Raíz and Financial Analyst at Universidad Peruana de Ciencias Aplicadas. He has taught at Peruvian universities, such as Universidad Peruana de Ciencias Aplicadas and Universidad Continental. He currently is a Professor at the Finance, Business Economics, and Accounting department at CENTRUM Católica Graduate Business School.